NORTH GOA: YOUR QUICK & EASY GUIDE IN TO THE HEART OF INDIA’S PARTY CAPITAL PLUS AN ITINERARY | A Soul Window - Top Travel Blog from India! WHY GO TO GOA NORTH? Goa is the smallest state of India. Yet every few kilometers the character of this beautiful land changes. There are quieter havens in Goa but North Goa has retained the undisputed status of ‘Party capital of India’ where the only time people sleep is in the afternoon, for their mandatory ‘susegad’ (Afternoon nap). North Goa is the most popular Goan retreat especially for the first timers and for those whose idea of a great time is dancing away to loud music at a shack by the beach at 3 a.m.
As a child growing up in nondescript small towns of mofussil India, Goa was the stuff my fantasies were woven of. Adulthood came with financial freedom and opportunities to turn fantasies into reality. After I landed up a job in Mumbai, access to Goa has been a cushy perk. Many of my friends from Pune find it easy to go to Goa too. The flights on this route are cheap. Thanks to good air connectivity, it takes very little time to reach Goa from Pune or Mumbai. No wonder, I made 8 trips to different parts of Goa in a span of 6 years discovering different aspects of the most unique Indian state. It certainly boosts my ego when Hotel owners, vehicle rental owners and restaurant waiters recognize me and wave at me even if I visit the place after a gap of 1 year! Baga Beach has the liveliest shacks and offers an amazing variety of international cuisines. Facing the swim friendly beach, the shacks are operational till the wee hours. There’s a lot you can do at Baga beach. Get a tattoo(Permanent/temporary) done, try the many water sports, shop for knick knacks, swim in crystal clear waters, read a book, work on your tan, make new friends, binge on lip smacking food, get drunk (How can you not! ), indulge in karaoke night or impress your better half with a late night al fresco candle light dinner often accompanied by live acrobats and breezy air. Baga and Calangute beaches are efficiently patrolled by baywatchers and rescue workers. Calangute beach is the sister beach of Baga. You will not even realize when Baga ends and Calangute starts. Yet it’s easy to differentiate both beaches at their tail ends. Calangute is as good as Baga beach but a bit more crowded. Rest, it offers everything which Baga does. A leisurely sunset walk by the beach from Baga’s tail end to Calangute’s is rejuvenating. The scenic Anjuna beach is an easy 6 kms (3.5 miles), 15 minutes ride away from Baga and Calangute beach. Anjunais better known for its parties, picturesque beaches guarded by hills and lastly for its Wednesday flea market. A sunset dinner at the sea facing restaurant at the hill top completes the Anjuna trip. Estrela do mar beach resort : Conveniently located at KhobraVaddo, Calangute, it is just 1 kilometer away from Baga Beach and 500 metres away from Our Lady of Piety Chapel. Most places of attractions are at walking distance from here. It is just 41 km (approx.) away from Goa International Airport and 50 km (approx.) from Margao Railway Station. It boasts of a variety of rooms such as beach cottage, swiss cottages, standard, luxury, executive, family. Rooms are air conditioned and stocked with tea/coffee maker, mini bar, color television, safe, and telephone. What’s more, you can also expect live performances. Think banjo, tabla, guitar, sitar, Rajasthani folk dance, Goan dance, movies, DJ nights, the works! Address – KhobraVaddo, Calangute, Bardez Goa – 403516, Goa. Hacienda Hotel : What attracts me here time and again is the very warm owners, no nonsense accommodation, amazing proximity to all places of attractions and reasonable tariffs. It also has a cozy garden, ideal for breakfasts and lazy book readings. You can return to the room at any time, even at 3 a.m. On the flipside, the restaurant menu is very limited but you don’t mind since most of the pubs, restaurants, discos, bars and beaches are hardly 5-10 minutes walk from the hotel. Its run by Mrs.Lobo, her husband and her son. They make a great host and will even guide you around without you asking for it! That said, be warned it is not a luxury property. Contact : C/o Subway, Cobravaddo, Calangute-Baga Road, Bardez, Goa, Calangute, GA, India. Brittos: Brittos remains the most popular shack on Baga stretch. Often frequented by Indian celebrities, it is known for its sea food and an upbeat vibe. Though a bit pricier than its counterparts, a visit is a must to Baga’s most popular shack. Despite the fact that it’s the largest shack at Baga, it can often become difficult to get a table here. For vegans, salads and some basic pasta, pizzas save the day. Shree Sagar, Calangute, Goa. : If you are craving for some Indian food or are on a shoestring budget, then Shree Sagar on the main Baga-Calangute road is your ideal find. Not only the food is good and hygienic but it’s one of the cheapest restaurants you will find in the location. A breakfast of South Indian Idli/Dosa/Utthapa is a must. It’s also good for North Indian cuisine. The seating is comfortable but don’t expect much of an ambience. Infantaria : It’s easy to miss this gem of a restaurant on Baga-Calangute road. But the owner has ensured you take notice with their huge “ALL DAY DINING” banner. It’s great for Italian food but the lesser popular Goan dishes will leave you asking for more. You can round off a sumptuous meal with Goan dessert Bebinca and few glasses of Feni, the local liquor. 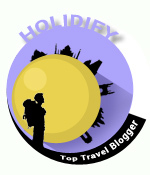 THINGS TO CARRY: Goa is a backpacker’s delight. All you need to carry is few clothes, flip flops, a camera, sun block and an open mind. HOW TO REACH GOA: Many cheap flights run to Goa from Pune and Mumbai. Thanks to the geographical advantage, one can fly to Goa from Pune and Mumbai on a whim. There have been many instances where I have just showed up in Goa in one day’s notice,sans any planning. GETTING AROUND WITHIN GOA: Cheapest (but time consuming) way to reach Baga is taking a bus. Taxis are expensive. Best way is hire and self drive a scooter (Honda Activa available for as low as Rs.200/day), Royal Enfields, open jeeps, cars. Not only are they economical, they give you the liberty of enjoying the Goan streets at your own pace and whims. They are easily available at road sides and rentals are always negotiable. MONEY AND TIPPING: Thanks to the huge foreign footfalls, it’s easy to exchange foreign currency in Goa. ATMs are commonplace too. A 10% Tipping is highly appreciable since the waiting staff at most Goan restaurants are attentive, quick, cheerful and friendly. PLAY SAFE: Goa is largely safe. I have often loitered around Goan streets and beaches as late as 3 a.m. To 4 a.m. without losing my money or limbs. Still some stray cases of rapes and drug trafficking is reported every few years. Stay away from pimps, dubious drug paddlers. Roaming in group late night shall see you through. Be wary of touts approaching at you promising wild parties and Russian dancers. My parents at Anjuna. Lunch is scenic here! DAY 1– Reach Estrela do mar beach resort, relax. Hit Baga and Calangute beaches. Take it easy the first day as most places of attraction can be covered on foot. Walk and explore the nearby area maybe shopping on the way from road side vendors. Indulge in lunch and dinner on one of the sea facing shacks. Take a bare foot walk by the beach from Baga to Calangute. Don’t hire a vehicle yet but check and negotiate vehicle rental rates for next day. Check out party scene in Tito n Mambo, the discos, walking distance away. DAY 2– Get wet in the beaches. Go food hopping or pub crawling. Indulge in water sports. Get drunk. Have a susegad (afternoon nap). Wake up. Repeat! Stay till late night on Baga/Calangute beach. DAY 3 – Time to get sober and a bit romantic! Experience sunrise at Baga/Calangute beaches. Have lunch/evening snacks at Anjuna Beach. Return and stay till late night on Calangute beach, indulging in a more sober al fresco candle light dinner. A must! The view from my #SoulWindow is upbeat! YOUR TRAVEL GUIDE TO GOA! Travelibro : A Useful app to record and plan your travel! Very informative post. Good to see younger version of Abhinav Singh :)..
An honest confession: I am tempted to go to Goa right away. Thanks for sharing – what a great article and so much detail. Very keen to go to Goa so will remember this for when I do. Reading the post, you are transferred to Goa while the post ends you are tempted to just get lost in Goa! Very useful post! Goa is on our list for our next visit to India! Great tips! I went to Goa in 2015 and loved it! Never been to India before, but Goa sure looks like a lot of fun. Thanks for sharing! Pingback: 3 MUST SEE POINTS OF INTEREST IN PUSHKAR FAIR: SOLO BUDGET TRIP IN RAJASTHAN, INCREDIBLE INDIA! | A Soul Window - Travel Blog from India! 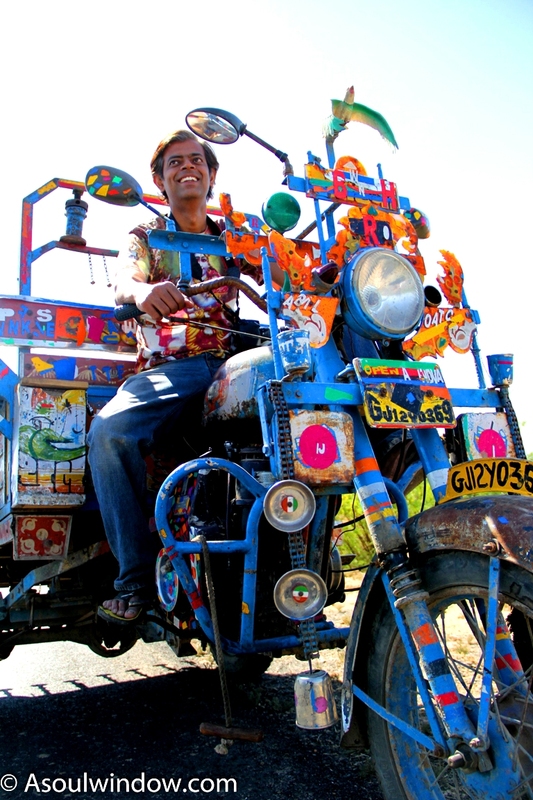 Pingback: PORTRAITS & STORIES OF INTERESTING PEOPLE I MET IN PUSHKAR FAIR, RAJASTHAN. INCREDIBLE INDIA! | A Soul Window - Travel Blog from India! Woah! 8 trips to Goa!! That’s impressive. I have been to North Goa just once and to be honest I did not like it very much. It’s too much of commercialization of beaches. However, I have visited South Goa thrice and I never get tired of those beaches and would love to go there again and again. I guess I love peace and seclusion more than party and loud music. Yup, to each his/her own. I like North Goa for its party vibes. I love visiting all the clubs and cafes in North Goa. That said, I like South Goa equally if not more! 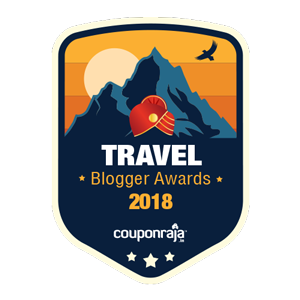 Pingback: KERALA BLOG EXPRESS BOYCOTTED AND EXPOSED BY TOP INTERNATIONAL AND INDIAN TRAVEL BLOGGERS. GOD’S OWN COUNTRY? 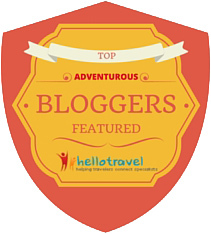 | A Soul Window - Top Travel Blog from India! Pingback: YOUR TRAVEL GUIDE TO GOA! 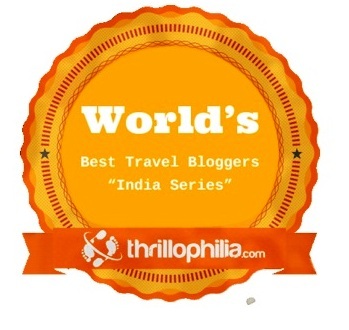 | A Soul Window - Top Travel Blog from India!